Excited to PO her on 2018, and to recieve her on 2020. A release date on the announced month!? Voir le spoilerCacher le spoilerA little idea on what she might look like painted. 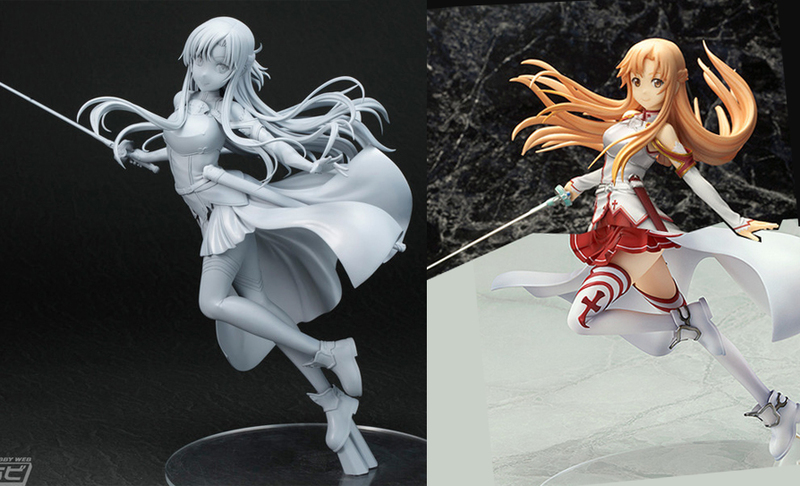 I noticed the new Velvet Crowe figure has the same kind of base design as the Asuna one. Main difference is what looks like a metal rod going through the foot into the base. I’m glad Alter made the bases sturdier on leaning figures.